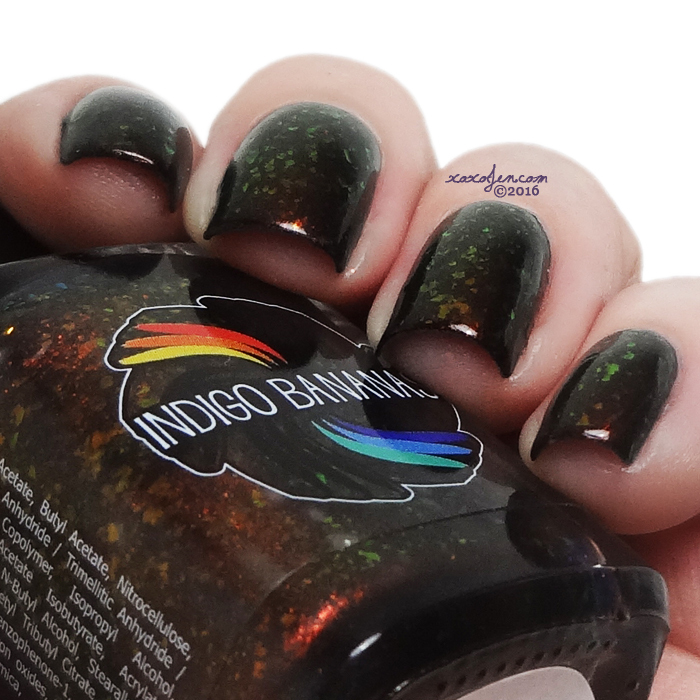 Gods and Monsters has a smattering of multichrome shifting flakies within a dark blackened jelly base. Much like I'd imagine a dragon egg would look. The effect is stunning! I wore two coats for opacity and the formula was smooth and easy to apply. Kind of reminds me of the highly sought discontinued polish, The Uptown, only the base is a different shade. I took some unusual angled photographs as an attempt to show off the shift. These really are just the tip of the iceberg, so to speak. Gotta see this in person! 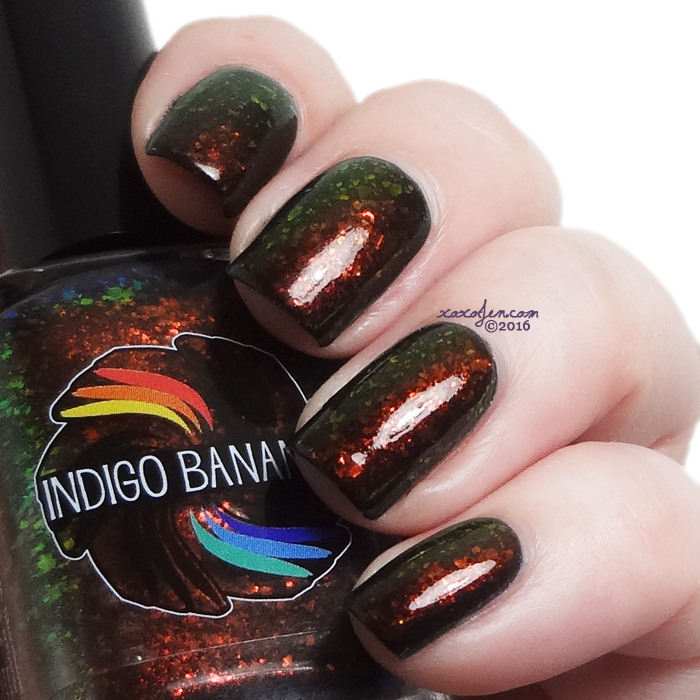 I hope you've enjoyed the review - what is your favorite Indigo Bananas Polish? The flakies in it is gorgeous! 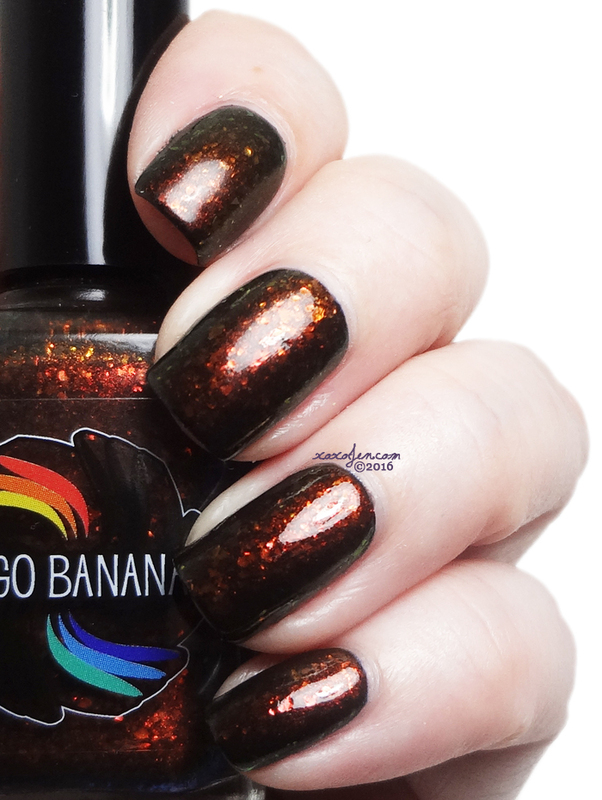 OMG, Indigo Bananas is always a guarantee *__* Now I need this, too! I agree - love every polish I've tried from her line! Oh my gosh I just recently bought an original bottle of the Uptown, now I'm lusting after this! Beautiful shots! Andrea let me know that her inspiration was The Uptown but she wanted to create a more vampy style. I think she's nailed it! It's a gorgeous flakie, I think I like all the flakies from Indigo Bananas! This is full of shifty goodness! I'm actually sorry to say that I don't own any Indigo Bananas yet! I don't know that I have a favorite but this one is stunning!! Gorgeous flakies! I only have a few Indigo Bananas and unfortunately they are all untried. Thank you! Definitely pull them out and give it a go! 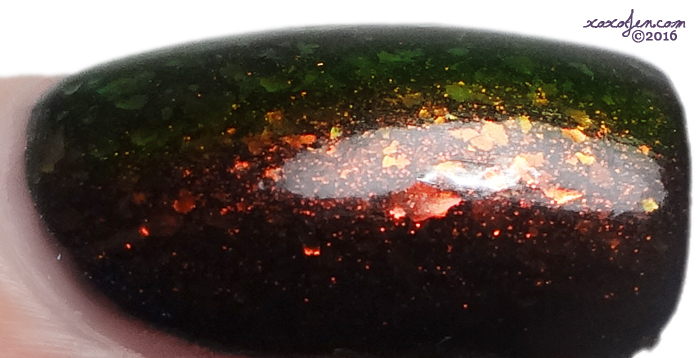 Adore that macro, it captures all the definition of the finish perfectly. Wow this is absolutely gorgeous! ! That macro!! I love IB! I've got this one and haven't worn it. Wear it soon! You'll wonder why you waited!